Over the past two decades, gamers have proven that video games provide more than entertainment: games can also be used for charity, bringing relief to those in need. From the Child’s Play charity bringing video games to children’s hospitals to speedrunners helping beat cancer and bring medical aid to struggling countries, gamers have performed civic duties through the games they love. Through these articles, we’ll be taking look at charity events and foundations started by gamers, performed by gamers and funded by gamers. In 1992, Squaresoft released their fifth iteration of their ground-breaking RPG series Final Fantasy on the Super Nintendo. Final Fantasy V was a smash hit in Japan but would never be seen overseas for another seven years when it was released as part of an anthology for the Playstation. While the game would not gain the popularity in the US that the other entries in the series would, it still enjoyed attention due to a specific mechanic. 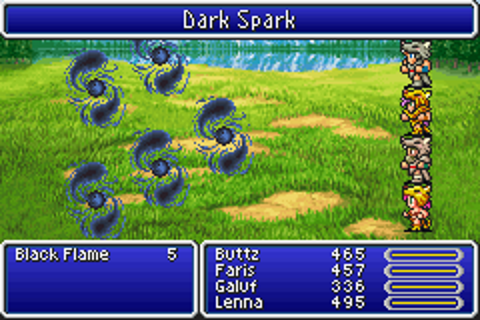 The Final Fantasy V Four Job Fiesta began as a community challenge in 2010, and with the help of Twitter began a global sensation. The rules for the challenge are simple: a Twitterbot, modeled after an iconic villain named Gilgamesh, randomly assigns a player four jobs to play the game with. The Job system gave each of the playable characters a wide range of abilities through training in multiple classes such as White Mage, Knight, Ninja and Summoner. So, to reiterate: each player would be assigned four jobs out of twenty-four (or twenty-six, depending on the version of the game) to play as for the entirety of the game. Just those four jobs, at all times when possible. 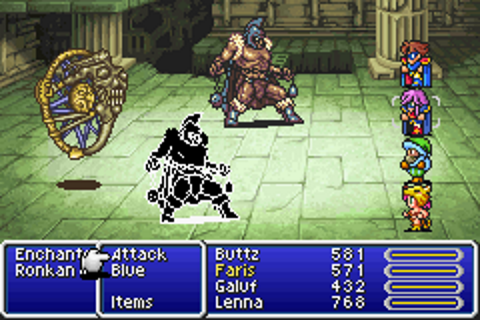 This means that playstyles change drastically depending on how forgiving – or cruel – Gilgabot is: the player may breeze through the game with a Blue Mage and Magic Knight, or they may struggle with the first few dungeons with only White Mages. For veterans of previous years other challenge modes are available, such as having each character permanently assigned to a single class for the entire game or the dreaded BERSERKER RISK, which may result in a party of all Berserkers all the time, but the event is very relaxed. Players can play at their own pace as many times as they want, and on any system available to them, whether it be the original Super Nintendo release, the iOS “remaster” or even a dubiously acquired ROM from the darkest pits of the internet. Donations are entirely voluntary, and often take the form of pledges. All proceeds from the event go to Child’s Play, a well-regarded charity that services children’s hospitals across the United States and beyond. Absolutely none of the money raised by the event is used for overhead by the Four Job Fiesta. Final Fantasy V Four Job Fiesta started on June 19th this year, but there’s still plenty of time to get a run or three in, as the event ends on the 31st of August. So get your Twitter account ready, gather up your guides, and hope that Gilgabot doesn’t give you a party of Berserkers for your first run!